Since the study of the oceans and its marine life began centuries ago, it became obvious that the ocean was not uniform and that different regions existed with different characteristics and sets of species that defined them (Figure 1). Mapped classifications of patterns in what species (biodiversity) characterise particular regions are important in fields from conservation planning to evolutionary studies. The process of classifying the ocean into regions simplifies the complex spatial organisation in nature and represents it on a map to improve understanding and inform decision making. These biogeographic maps and descriptions of provinces are an essential tool for the sustainable use and conservation of marine biodiversity. 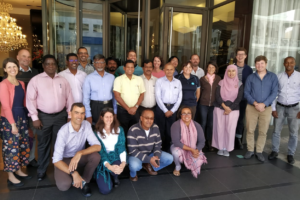 ORI scientist Dr Sean Porter, attended an international workshop in Cape Town organised by CSIRO (Commonwealth Scientific and Industrial Research Organisation: Oceans and Atmosphere) and CORDIO (Coastal Oceans Research and Development) to do exactly this. 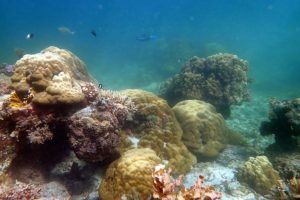 The workshop was funded by the Global Ocean Biodiversity Initiative, which aims to provide a scientific basis for conserving biological diversity in the global ocean. In this respect, the workshop focused on undertaking a bioregionalisation of the Indian Ocean, an area 70.5 million km2 in extent. The workshop drew upon the expertise of marine biologists and biological oceanographers from over 15 different countries – from Tanzania to Indonesia (Figure 2). As a step towards ensuring the connectivity, sustainable use and conservation of marine biodiversity, bioregionalisation exercises were undertaken. The boundaries for distinct regions (marine provinces) were refined, proposed, discussed and mapped based on available literature and expert knowledge. The different regions were characterised according to the groups of species that defined them and how they interact with the environment in conceptual models. This was done for both bottom (benthic) and surface (pelagic) systems for shelf regions and offshore areas of the Indian Ocean. The information emanating from this exercise will be published in appropriate media and used to inform many spheres of science, industry and civil society in which the most up-to-date bioregionalisation would be useful. For example, the maps from this work will assist in the placement of marine protected areas to ensure that there is a representative network of protection, as well as assist in the choice of management strategies for fishing, mariculture, mining, marine traffic and industrial discharge. These examples are key to meeting the international Convention on Biological Diversity’s objectives of conservation, sustainable use and fair sharing of the benefits arising from the utilisation of biodiversity and associated natural resources. Domestically, marine provinces are a key upper level, in a hierarchy of levels that are assessed routinely as part of the South African National Biodiversity Assessment (NBA) undertaken by SANBI (South African National Biodiversity Institute). The purpose of the NBA is to assess the state of South Africa’s biodiversity based on best available science, with a view to understanding trends over time and informing policy and decision-making across a range of sectors. 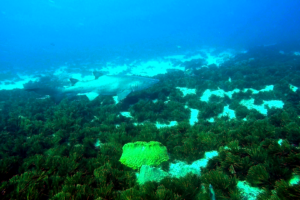 Figure1: Two reefs from two different marine provinces highlighting their differences. This image is from the Natal Shelf Province, South Africa. Figure 2. 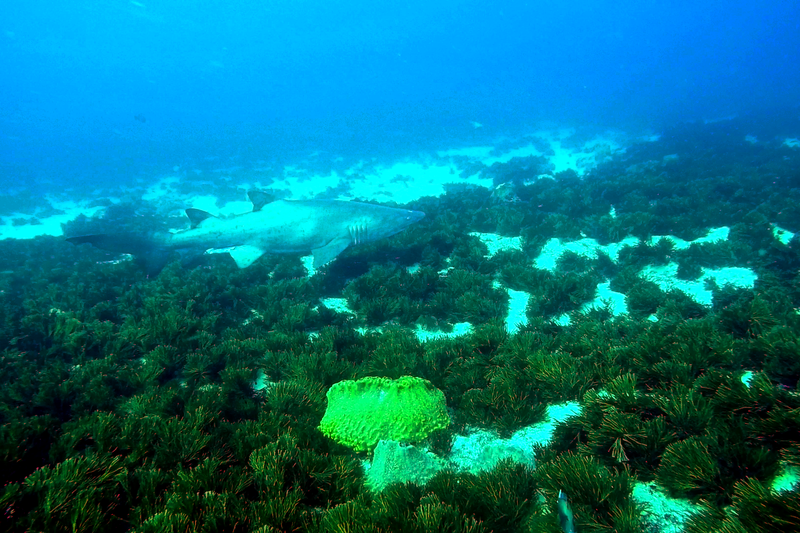 Two reefs from two different marine provinces highlighting their differences. This image is from the East African Coral Shelf Province, Kenya. Workshop participants that were involved in the bioregionalisation exercise for the Indian Ocean.